(Bloomberg) -- Kazakhstan’s leader-for-life Nursultan Nazarbayev announced his resignation as president, signaling the start of a long-forecast transfer of power after nearly three decades as ruler of central Asia’s largest energy producer. “I’ve taken the difficult decision to terminate my powers as president” as of March 20, Nazarbayev said in a televised address Tuesday. He announced that Senate Chairman Kassym-Jomart Tokayev would succeed him until elections scheduled for 2020. Nazarbayev, 78, said he would retain the key positions of head of Kazakhstan’s security council, chief of the ruling Nur Otan party and member of the Constitutional Council. Nazarbayev retains the status of leader of the nation awarded by lawmakers in 2010. By stepping down a year before the end of his fifth term in office, he sought to avoid a potentially destabilizing contest for power among rival possible successors in an energy- and mineral-rich country sandwiched between Russia and China. The last Soviet-era leader in the region, Nazarbayev has ruled Kazakhstan since 1989 and has been its only president since it became independent in 1991. Lawmakers made him head of the Kazakh security council for life last year with powers to issue executive orders to state bodies. Senior Russian officials said news of Nazarbayev’s departure came as a surprise. President Vladimir Putin and Nazarbayev spoke on Tuesday, Kremlin spokesman Dmitry Peskov said. Chinese Foreign Ministry spokesman Geng Shuang said Wednesday that Nazarbayev has Beijing’s understanding and support. China remains confident in bilateral cooperation and is familiar with Tokayev, who has been an “old friend and a good friend,” Geng said. Tokayev, 65, will be sworn in as president at a joint session of parliament on Wednesday, according to an order signed by Nazarbayev. A former foreign minister and career diplomat who has also served as Kazakh prime minister, Tokayev has been Senate chairman since 2013. 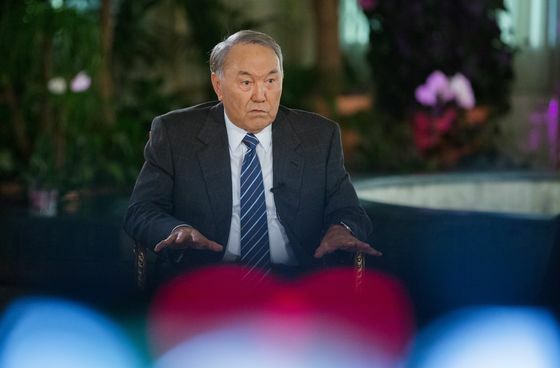 He predicted last year that Nazarbayev would not seek to run for re-election in 2020, while adding that he would continue to exert “tremendous influence” over the country. While Tokayev “is a neutral figure,” potential presidential election contenders “will be under pressure to demonstrate populist credentials in the run-up to any transfer of power,” said Livia Paggi, director of political risk at GPW Group consultants in London. Kazakhstan’s Eurobond due in October 2024 dropped for the first time in seven days, lifting the yield four basis points to 3.44 percent, the highest in more than a week. Nazarbayev announced his resignation less than a month after he dismissed the government and demanded sweeping changes to improve living standards, including trillions of tenge in additional spending. The central bank governor also resigned and parliament backed Nazarbayev’s choice to head the regulator.